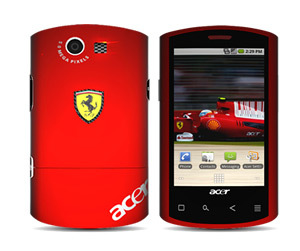 Acer releases a special edition of its Android-powered Liquid e smartphone – Liquid E Ferrari. Can you guess the color of the new exclusive phone? If you can’t don’t read the rest. Of course the Acer Liquid e Ferrari Special Edition has a glossy red casing with chreome trim and on the back sports the legendary “Scuderia Ferrari” shield with details in carbon fibre, the phone also come with chic Ferrari case and Bluetooth headset with noise-cancellation. 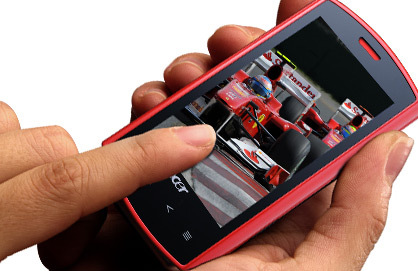 The “Ferrari” weights 135g, features 3.5-inch(WVGA) capacitive screen,Qualcomm snapdragon 8250 at 768MHz, Wi-Fi, GPS, 5MP camera with autofocus, geo-tagging and adjustable ISO and runs Android 2.1 operating system. 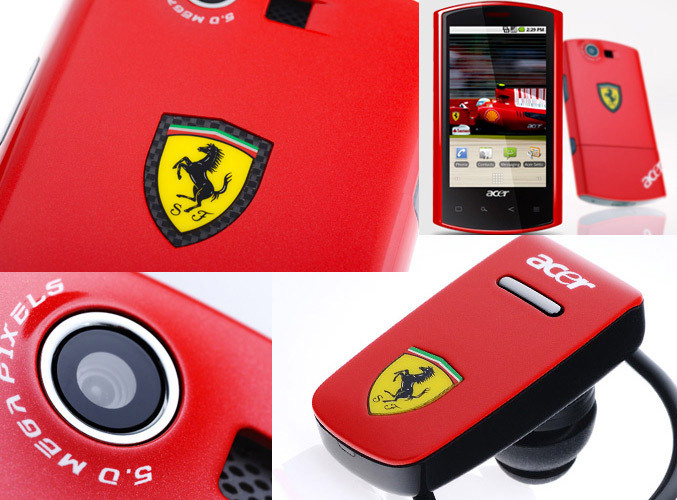 Acer also includes exclusive content like images, wallpapers videos and a special set of ringtones allows you to personalise your phone with the inimitable sweet music of the Ferrari engine. 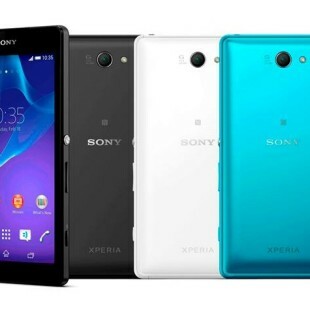 There is no information about price and availability yet, but stay tuned.